DC leads the development for LNG technology including reliquefaction, regasfication and fueling systems for DSME. 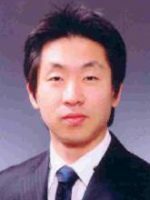 As a system engineer, he received a Masters in optimizing control from the Korean Ocean Maritime University. His interests are in advanced process operations for transient and optimized concepts on LNG vessels and LNG fuelled ships. His recent focus has been on the evaluation and diagnosis for safety and hazard systems as research engineer of DSME’s Research & Development Institute.